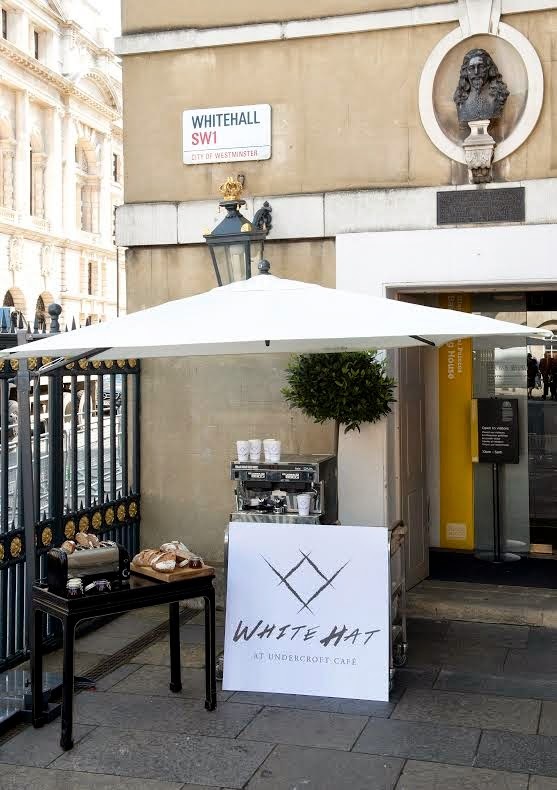 White Hat Bakery from Bow are popping up in the Undercroft Cafe at the Banqueting House in Whitehall for the summer to serve a daily selection of cakes, pastries, muffins and breads, from 9am to 5pm. Go and enjoy some of their great baking in an amazing historic setting! "This summer White Hat Bakery are dusting down their baking whites and setting up shop at the beautiful Banqueting House, London, managed by charity Historic Royal Palaces. There’s a fantastic history at the vaulted Undercroft Café. It’s incredibly atmospheric and was originally designed as a drinking and gambling den for King James I and his friends. Inspired by the historic surroundings, White Hat Bakery have created some delicious historic early Stuart pastries which will be showcased alongside the signature artisanal sourdough and rye bread, cakes and pastries. There is also a range of seasonal salads, Climpsons Coffee, single estate teas, homemade fruit and herb cordials and Square Root soft drinks. White Hat is a small team of passionate bakers working in Bow with wonderful produce and lots of ideas. Their mission is to create healthy, delicious bread and vienoisserie – slowly fermented and hand crafted – the antithesis of the quick loaf that has given bread such a bloaty reputation. White Hat is committed to skill sharing, staff investment with profit share, community engagement, and use of British artisan ingredients."